DNA has never had these esoteric interpretations before. 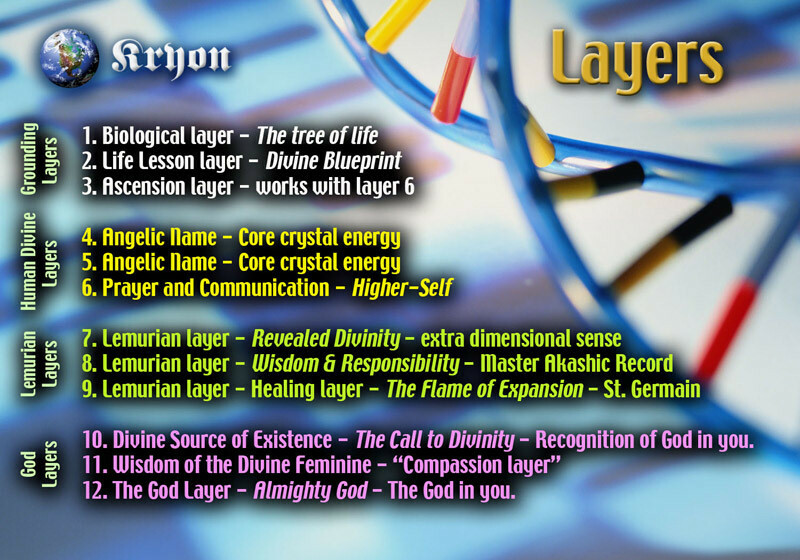 In addition, they correspond with some Lemurian names (a language not in existence anymore), and they relate strongly to numerology and the energies of numbers. Numerology is a very old science. The spiritual study of numbers goes way back in history and there’s evidence of numerology in most all-sacred scriptures of the world. For more information about the history of numerology, please see [numerologyhistory]. This is an excerpt of Lee Carrolls explanation how he received the information about DNA from Kryon who he is channelling. The site of Kryon has more gems to offer. There are 56 channellings available, some of them also as mp3 file and spoken excerps of his books with Parables, The Spirit Online Magazine and tons of other informations. 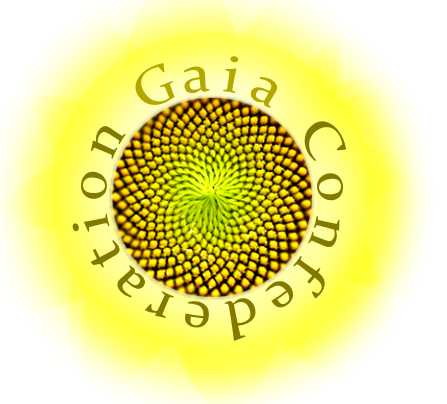 QUESTION: Dear Kryon, I am a Lightworker, and my primary ideal is freedom for others and myself. I claim my power of manifestation every day, but nothing seems to work in my life. What am I doing wrong, dear friend? ANSWER: It’s time to stop trying and just „do.“ Many of you have been born on this planet with a high energy, but within the earth’s low vibration. Nothing works in this scenario. Many of you are in this situation so that when the new energy begins to show itself, you will recognize it and breathe a sigh of relief. You will see it as „yours,“ and begin to work with it. If, however, you feel that there is no hope, then you’ll never manifest within the very energy you’ve been waiting for. You can’t create a peaceful Human Being in the body of one who’s convinced that they’re useless. So start by creating an attitude of one who is not. Openly declare yourself free of this lifetime curse. No matter what’s happening around you or what you feel isn’t happening, begin to create your new reality by announcing to Spirit and the energy of Earth that you have „arrived“ and are now complete. This might seem comical to you, as the old reality around you seems to be stuck. But this is the seed-planning that will allow you to begin to slowly move. The giant ship that has been in the mud for years will have a hard time freeing itself, no matter how large the engines become. But once freed, watch it go!